R-19 Business Plans offer the latest cutting edge technology and the perfect solution for businesses that require the full features and benefits of a VoIP phone system without the pricey costs and complexities of the old analog hardware based alternatives. 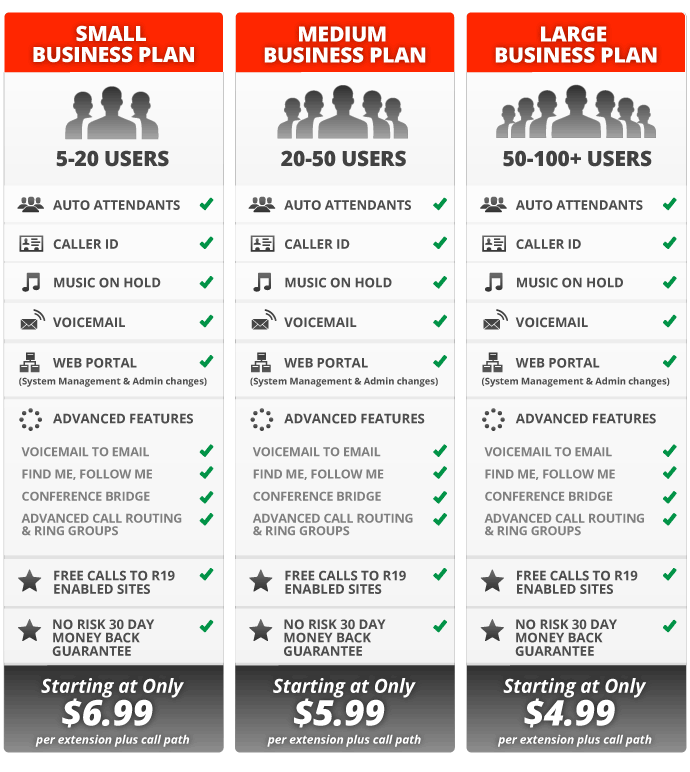 R-19 business plans are fully customizable for you business needs, only pay for what you need!! We offer extremely competitive rates and excellent support through the process.